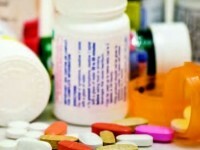 Every year, many families are faced with the challenge of how to dispose of medicines that are not entirely consumed. Prescriptions change, symptoms improve, patients may die, and individuals fail to take their medications as directed. In addition, over-the-counter medications purchased in large quantities often expire before they are used. All of these situations leave people with unneeded medications that shouldn’t sit on shelves or go down the drain or into the trash. An additional challenge is that under federal law “controlled substances,” such as narcotics, can only be accepted by a law enforcement agency.